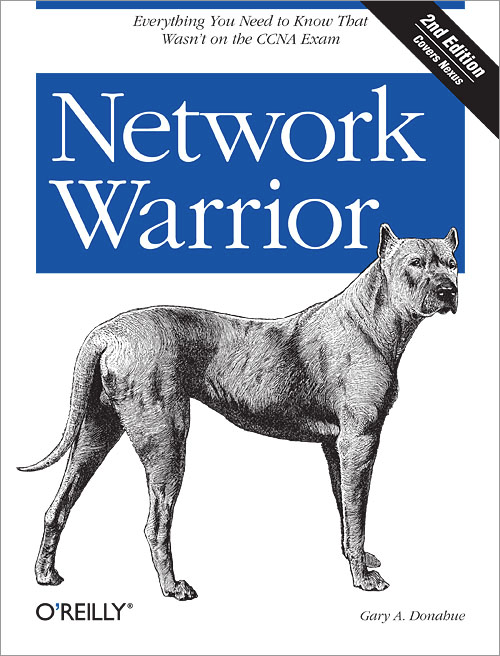 Dear networkers, The Network Warrior is the most naturally written book about networking. By far it’s the only book written by human for humans. The rest are by nerds or teachers for: a -business people, b – nerds. When nerds or teachers hit these audiences, every engineer touched by the shock wave gets bored and falls asleep until the next attempt. This book is opposite. Author’s language speaks instead of describing, wisdom comes from the author’s stories, enlightenment follows as an aftershock. Moreover, the book is highly practical. I was 3 years in networking and saw stuff, but no any single written source had ever delivered so much wisdom to me popping numerous enlightenments on the way. Needless to say, the book is highly practical. Network engineers got used to manuals, certification guides, RFCs and all other kinds of specifications and descriptions written in an emotionless mesmerising robot-like language. Network Warrior is different. It takes you through tasks, stories, applications, best practices, real world examples, all that multiplied by a talent of a high skilled speaker and a great teacher. You won’t find any theory in the book, only practice, practice, practice, and the best practice. The book is so amazingly better than any other network engineering manuscript out there that I wish every engineer gets hit with the author’s energy stream and gets as passionate as the author is. Why do I wish so? Because I want every excited engineer out there to be inspirational. To create so much that creation won’t be limited by a state of art network designs, but would fill the gazing gap of network engineering subculture with tons subcultural art, traditions, folklore.